Your living space should not be a home for extra junk but a serene, comfortable place for you to enjoy. We humans collect stuff. Sometimes we collect stuff even when we are not trying to collect stuff: Shoes. Clothes. Books. Art. Memorabilia. Junk mail. Ceramic frogs. All that stuff can quickly overwhelm a living space—especially a small one—so you must practice constant vigilance to not become a slave to your collections and end up creeping around the edges of piles or boxes or stacks of things. 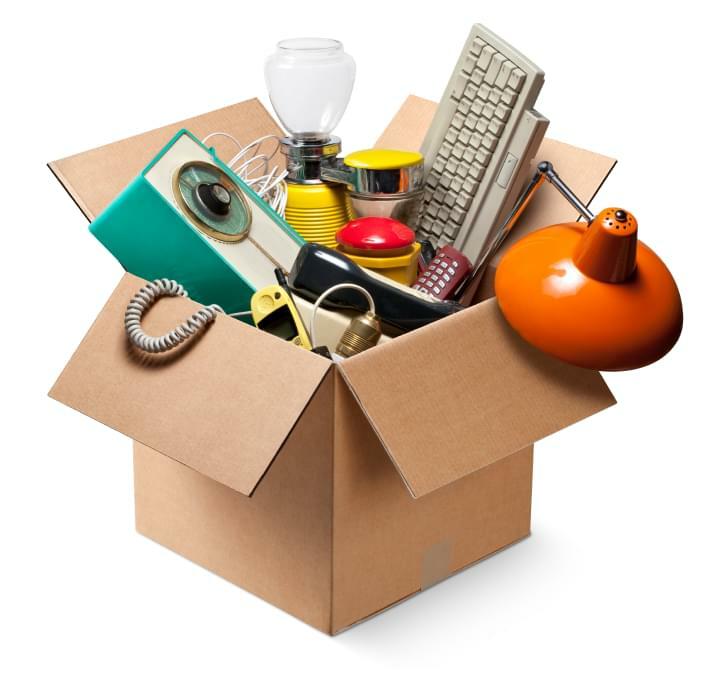 You do not have to be a hoarder to quickly end up with more stuff than you need to live comfortably. Ideally, everything you own has a place, and putting things in their places is a quick, regular event. Once everything is in its place, you have clean tabletops and counters, you can sit on all parts of your couch or chairs, and you are not sharing a bed with your clean (or dirty) laundry. When you walk into your home, apartment, or room, you should feel a sense of peace and contentment, which is hard to feel when closets and drawers and horizontal surfaces are bulging or loaded down. Even in a small living area, a sense of space is key to this contentment. To get you started on reaching your maximized living space Nirvana, follow these three tips. You are probably rolling your eyes. Seriously, if you hear about de-cluttering one more time, you will puke. But you may be able to get it all over with once and be done. Marie Kondo, an expert at purging and tidying, wrote a book entitled The Life-Changing Magic of Tidying Up: the Japanese Art of Decluttering and Organizing. In it, Kondo advocates her KonMari method for going through every single one of your possessions and letting go of anything that does not spark a sense of joy when you hold it in your hands. Once the discarded things are donated, thrown away, or sold, you must have a place for everything that is left. After that, you remain grateful for what you have. It may sound new-age-y, but it is compelling, especially when you realize that your purging and de-cluttering days are at an end with the KonMari method. Small living spaces require that every piece of furniture you own serves at least one vital purpose, although it is always better if it can work for more than one. These days, you can find tables that transform from coffee-table height to dining height; beds that fold flat against the wall; full kitchens that hide in clever closets; or entire systems of pull-out and moveable partitions, shelves, drawers, and tables that allow you to reconfigure your space as needed. But even if you do not need to get that creative, investing in ottomans that include storage, dressers that also act as console tables or buffets, or bookshelves that act as partitions have their place. There are things you need even if you do not need them every day, such as seasonal clothing and gear, holiday decorations, or outdoor furniture. It would be expensive to buy them new every year, so you must have a way to store them in an out-of-the-way place, and this requires your creativity. Look to your walls in order to add additional shelving. Under the bed is also a good place for storage. Add shelving in the garage, as well. Or, if those are not storage options, find a good self storage facility and pay the small monthly fee to keep your needed seasonal items off-site but secure. Rent a drive-up unit (accessible from outside) for items that will not be harmed by temperature fluctuations (lawn care equipment, outdoor furniture, etc.) or an indoor, climate-controlled unit if you plan to store documents, clothing, or indoor furniture. Value Store It offers safe and secure self storage facilities throughout Florida, Connecticut, and New York. We have a storage unit that will fit your needs. Visit our Homepage to look at locations and to get started today.